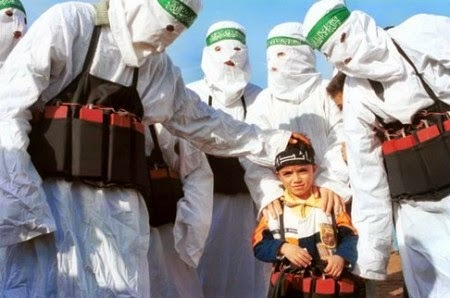 The Islamic terrorist group Hamas gets its name from the Arabic word "حماس"‎ which means "enthusiasm." In fact, Hamas is an acronym for حركة المقاومة الاسلامية, transliterated as Ḥarakat al-Muqāwamah al-ʾIslāmiyyah, which means "Islamic Resistance Movement." As we pointed out in a previous post, Muslim apologists are fond of highlighting the closeness between Arabic and the much older Hebrew language, coming as they both do from Semitic roots. But this is one occasion that Muslims may not be too thrilled at the similarities. This because the Hebrew language also has the word "hamas," or חָמָס, in its vocabulary. But that is where the similarities end. Hamas in Hebrew does not mean "enthusiasm" at all. It means violence. "The Lord examines the righteous and the wicked. He hates the lover of [Hamas]." "Consider my enemies; they are numerous, and they hate me [with Hamas]." 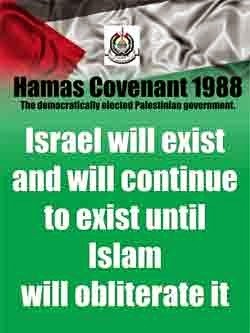 "Consider the covenant, for the dark places of the land are full of [Hamas]." Can you just hear King David speaking the words of 2 Samuel 22:3? "... my God, my mountain where I seek refuge. My shield, the horn of my salvation, my stronghold, my refuge, and my Savior, You save me from [Hamas]." God did save Israelis from Hamas, as we hear in one miracle story after another from the war front. And He will continue to do it. "They made His grave with the wicked and with a rich man at His death, although He had done no [Hamas] and had not spoken deceitfully." 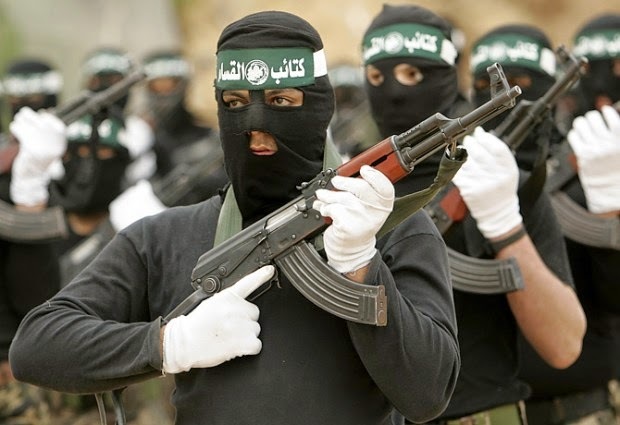 "[Hamas] has grown into a rod of wickedness. and none of the eminent among them." will be gone from your borders. While the vast majority of Israelis still do not know Jesus as their Messiah today, the Day is fast approaching when He will open their eyes and they will all see Him for Who He truly is. The Day is coming soon when He will come riding on the clouds to defend His people and defeat His -- and their -- enemies.